By the time the War of the Spanish Succession was over in 1714 AD, Leopold had died, and left Austria to his son, Joseph, who had also died and left it to his younger brother Charles VI (the great-great-great-great-grandsons of Charles V). This was the same Charles who almost inherited Spain, but once he was ruling Austria, he didn’t care so much about ruling Spain. 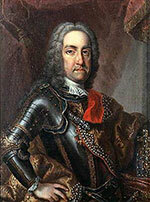 By giving up his claim to Spain, Charles got to rule large parts of Italy, the Netherlands, and Belgium. But as time went on, Charles lost more and more land. He gave southern Italy back to Spain. He gave land in the Balkans to the Ottoman Empire. And, as Charles insisted on tradition, Austria began to fall behind England and France in education, banking and manufacturing. When Charles died in 1740, his daughter Maria Theresa ruled Austria, like the two Elizabeths who ruled Russia and Spain at the same time. Prussian troops immediately invaded Austria from the north. Maria Theresa made an alliance with Louis XV in France and with Elizabeth in Russia, but she couldn’t get the land back. Then under Catherine the Great, Russia switched sides and started helping Prussia! In 1770, to make sure of keeping France at least as an ally, Maria Theresa’s daughter Maria Antoinette married Louis XV’s son, Louis XVI. Like Louis XV, Maria Theresa saw that Austria needed to get more modern: she began taxing the rich families, and she created government jobs instead of leaving all the work to aristocrats and bishops. 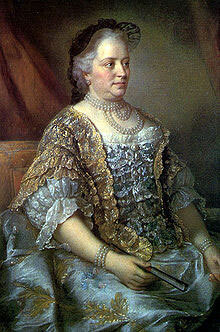 But also like Louis, Maria Theresa wanted everyone to be Catholics, and she mistreated Protestants and Jewish people. 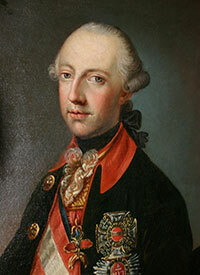 When Maria Theresa died in 1780 after a long reign, her son Joseph II – Marie Antoinette’s brother – ruled Austria as the Holy Roman Emperor. Like Catherine the Great in Russia and Mihrisah Valide Sultan in the Ottoman Empire at the same time, Joseph wanted to modernize his country quickly. He tried to force people to modernize by making lots of new laws. He made a law that all children had to go to school. Like Elizabeth of Russia a little earlier, Joseph stopped killing people as a punishment for crimes. He freed Austria’s serfs, so farmers didn’t belong legally to their bosses anymore. Legally everybody was equal. But the bosses still owned all the land, so farmers’ lives didn’t really change much. People were afraid of so much change so quickly. A lot of Joseph’s ideas didn’t work out, or people just ignored the new laws. Cite this page: Carr, K.E. Austria-Hungary – 1700s – Maria Theresa. Quatr.us Study Guides, August 5, 2017. Web. April 22, 2019.